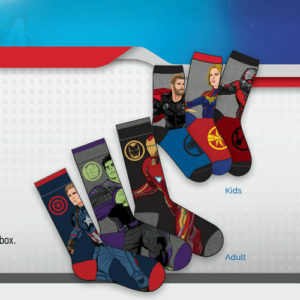 Get a free pair of Avengers socks with 2 PIN codes from specially-marked boxes of Post cereals. Offer available while supplies last. Allow 8-10 weeks for delivery. Offer must be redeemed by May 31, 2019, 11:59 pm ET.